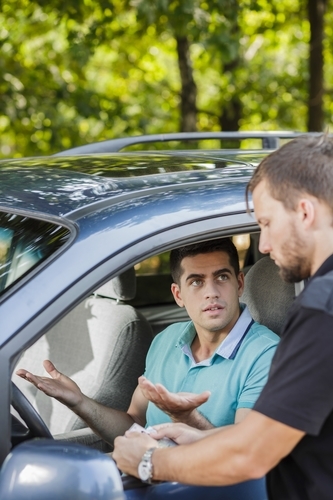 Getting pulled over for a DUI can be a nerve-wracking experience, but, with some careful planning, you can be prepared to tackle the challenges should you ever need to. Knowing some basic do’s and don'ts for a DUI situation will help you legally protect yourself and safeguard your rights. Below, the criminal lawyer at The Law Office of Jacob Y. Garrett, LLC in West Plains, MO, shares a few tips for what to do—and what not to do—when getting a DUI. Once you see the flashing lights in your rearview mirror, pull over immediately. The longer you hesitate or willfully ignore the order to pull over, the more suspicious the scene is going to look, so pull over as soon as it is safe to do so. If you don't, you risk getting charged with additional infractions like resisting arrest or fleeing the scene. You might be scared or confused, but, no matter how you're feeling, it's imperative that you remain civil throughout your exchange with law enforcement. Stay calm, and be polite. Don't be confrontational or give the officer any further reason to suspect you were breaking the law. Immediately agree to be tested. If the officer requests you take a sobriety test, take a moment to collect yourself and decide how you want to proceed. Despite what an officer might tell you, you don't have to submit to a blood-alcohol or field sobriety test at the scene. If you fail either of these, you would likely be charged with a DUI. However, if you refuse, there could be consequences, such as getting arrested on the spot, although they aren't guaranteed. Carefully consider what you want to do. Whether or not you voluntarily submit to a test could have profound implications on your case. If you've been drinking, don't admit to the officer how much you've consumed. In fact, remaining evasive about how much you've drank—or even if you've been drinking at all—could work in your favor if your case makes it before a judge or jury. You only want to introduce some doubt into the equation, and, if you say you weren't drinking, it might be enough to get you off the hook. Don't let your life be upended by DUI charges. Trust the lawyer at The Law Office of Jacob Y. Garrett, LLC to look out for you. With nearly 25 years of experience, attorney Garrett handles a variety of criminal law issues, including DUIs, misdemeanors, and felony charges. Call (417) 255-2222 or visit his firm online to schedule a free consultation with a DUI lawyer today.